Plus contributory pension. 35 hours per week. 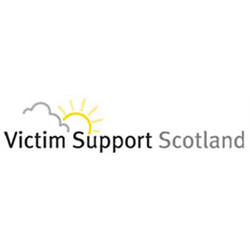 Our mission at Victim Support Scotland is to ensure that those affected by crime receive high quality support that will help them to recover from their experiences. We want victims and witnesses to be at the heart of everything we do so they have improved health and well-being, feel safer, more secure and informed and that we are an effective organisation, that makes a lasting difference. We aim to do this by adhering to our own organisational values of being supportive, striving for excellence and offering personalised and accessible services and these are reflected in the behaviours expected of all staff and volunteers. As a member of the Digital Services and IT Team and reporting directly to the Head of Digital Services/IT, your role will be key in helping VSS transform the digital aspect of their business. Your duties will be focussed on digital technologies and how these will help improve service delivery, raise VSS’s profile, gain supporters and help VSS reach more people. You will manage VSS’s interaction with existing and potential service users and endeavour to constantly improve the user’s digital experience. You will assist in developing high quality digital content for a range of audiences, and working closely with other members of the staff, will maintain and contribute to the development of VSS website and digital channels, and act as social media custodian. You will also support internal communications. You will have a responsibility for liaising with implementation partners and subscribed services/products for CRM and digital channels. You will be willing to travel to meet national requirements of the role. This post will be subject to a Standard Disclosure Check. To download an application pack, please visit our website: victimsupportsco.org.uk and click on the Get Involved button. 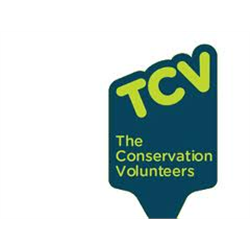 The Current Vacancies page can be found in the Work For Us section. Interviews will be held in Glasgow on Monday, 25 February 2019. Please ensure that you are able to attend the interview before applying for the position. STAND International is embarking upon a period of growth and development with a new vision for local community services linked to our Strategic Business Plan. This is your opportunity to work for an organisation that plays a significant influential role in shaping young people’s personal, social development. The charity is recruiting a Business Development Manager to be responsible for establishing robust fundraising practices which will ensure a strategic fundraising for the future. You will lead on key aspects of fundraising, with a focus on trusts and foundations and corporate support. You will identify, generate and grow charitable income to underpin both STAND International’s work in Scotland and several of its partner organisations by managing a portfolio of funders and prospects, creatively stewarding existing relationships and maximising opportunities for giving. The successful candidate will be highly motivated and enthusiastic with excellent community fundraising experience, able to win and retain supporters and to hit the ground running. This role may be suitable for flexible working. • Drive the delivery of the significant fundraising targets by securing funding from a portfolio of funders. • Manage a pipeline of funders at different stages of the giving cycle aligned to STAND International’s projects, core activities and strategic objectives. • Lead on researching and writing compelling and persuasive funding bids. Ensure funding bid deadlines, reporting and stewardship schedules are adhered to and that donors are thanked in a timely manner. Self-motivated, results–driven and commercially aware, you&apos;re equally at home collaborating with others or working autonomously. Be a confident, ambitious, creative and enthusiastic fundraiser at the forefront of research, relationship-building and the solicitation of gifts. Experience of building and developing effective donor relationships. Sound time management with ability work to deadlines and prioritise work effectively. Strong motivation to advocate for our clients and services. Genuine enthusiasm for improving the lives of our service users and their families. Excellent communication skills with the ability to summarise complex information with clarity, brevity and speed. High degree of personal flexibility to accommodate a varying workload with the ability to work outside prescribed hours on occasion. 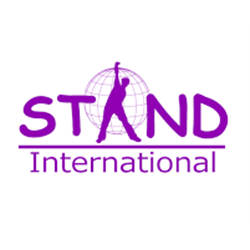 • A keen interest in and understanding of STAND International’s and a passionate belief in our vision and mission. • Member of the Institute of Fundraising. • A current driving license valid for driving in the UK. Your daily routine will be as varied as the needs of people you are looking after. You will act as a key worker to specific people and lead service projects contributing to company objectives. You will often be helping people to wash & dress, eat & drink, and go about their daily activities. You may be cooking for them or taking them shopping, helping filling in forms for them, or moving them into a comfortable position. You will often be the first to alert professionals with updates on support and any new health problems. You will be liaising with a variety of professionals to ensure that the relevant support is provided. If you are a motivated individual who takes pride & accountability in the work you do, then we want to hear from you! • Full Manual Driving licence. 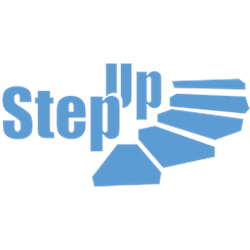 Due to Step Ups expanding programme, we welcome motivated and person centred candidates to apply. Glasgow East Women’s Aid is a small charity delivering a range of high quality services to prevent and respond to domestic abuse against women and children living within the North East of Glasgow. The role of the Women’s Worker is to support women who are experiencing domestic abuse. GEWA is seeking an individual with a working knowledge of domestic abuse to support this vulnerable group of service users.